"Sell or buy from a huge online marketplace!" 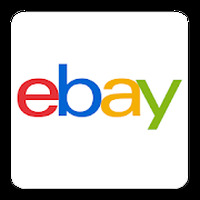 App description: eBay is an app for Android, one of the most popular online auction sites worldwide. Functions: Send notices of auction (if someone made a higher bid) announces auctions that are ending and sends tips on products similar to products purchased or accessed by the user on the site. Activities: You can compare prices, make purchases and sell products through auctions. Controls: The interface is nice, functional and very practical. To navigate, simply swipe your finger across the screen of the device and use the available menu. Recommendations: For people who want to buy or sell products online. Developer: eBay Mobile is based in United States	- TOP Developer: Reputable developer. Installation requirements: A minimum of 19.48 MB of free memory space and Android OS which Varies with device. Rating: The TOP 1 Most popular Apps in eBay Android category. Ranking: The TOP 1 Most downloaded applications in eBay Android category. 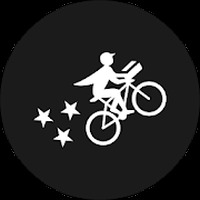 Sends notifications on new products and the progress of auctions. Simplify your eBay purchases and sales! The interface is neat, clean and provides quick access to products. Descriptions of some products are not accurate. You must consult the seller about shipping. A fantastic update to an already brilliant App! Try contacting eBay's customer support specific to using the app on Android. Click here to go to their Mobile Customer support, with a section dedicated specifically to Android. Access free, friendly classifieds ads on your Android!